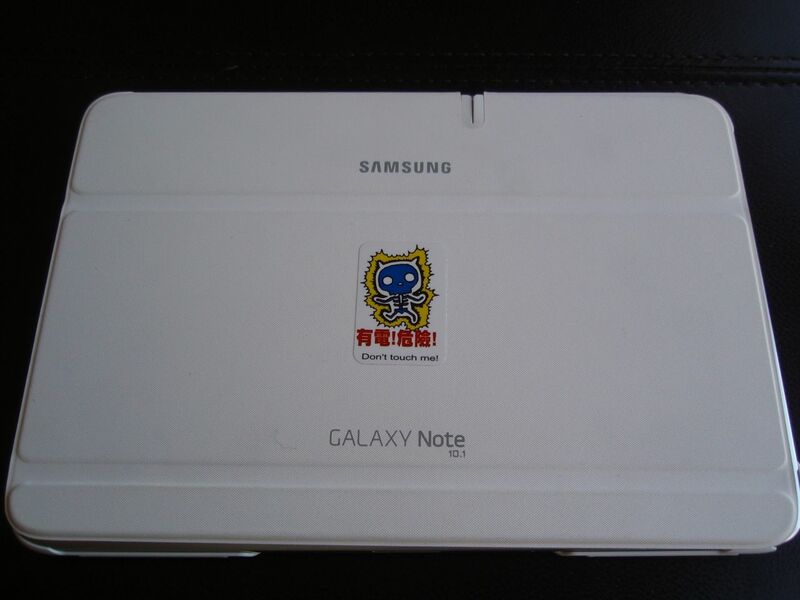 This is our Samsung Galaxy Note Tablet. 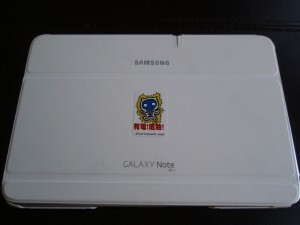 Marcus got it for free last year as part of a freelance photo gig for Samsung. I haven’t been that interested in using the tablet until recently. You see, I love magazines. You’re probably thinking, and how is that related to the tablet, Peg? Keep reading…we’re gettin’ there. Ever since I was a kid, I’ve been devouring magazines. I love reading articles, looking at pretty pictures, and learning new ways for doing things. But even though I love them so, when I was in my 20s, I swore off subscribing to magazines because I was sick of all the advertising (ugh) and all the paper (such a waste of trees). And the fact is, even though I love them, I found that I could live pretty happily without them. Now I know you can read magazines for free at the library but you can’t check them out. You have to read them there. And most of the time, II don’t want to read magazines in the library. I want to read them at the dentist’s waiting room, at home or on a plane. Speaking of which, when I fly, I usually treat myself and buy one magazine at the airport. It’s my guilty pleasure. But this week, as I was getting ready for my trip to Philadelphia, I was browsing online at the Seattle Public Library and discovered that I could “check out” magazines for free. That’s right, folks, you can read magazines for free! If you live in Seattle, go to this library page and click on Zinio magazines at the bottom. Once you create your login, you can then choose from 150 magazines to check out. If you don’t live in Seattle, check out your local library’s web site. I am sure you will find a link that takes you a database of magazines that you can check out for free. Music to a former magazine maven’s ears! 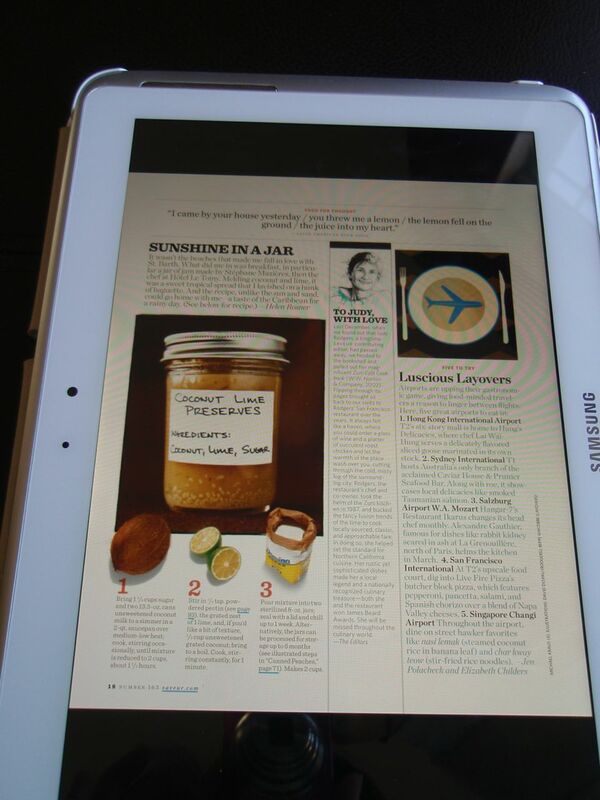 Zinio allows you to read these magazines on your computer, tablet or smart phone. 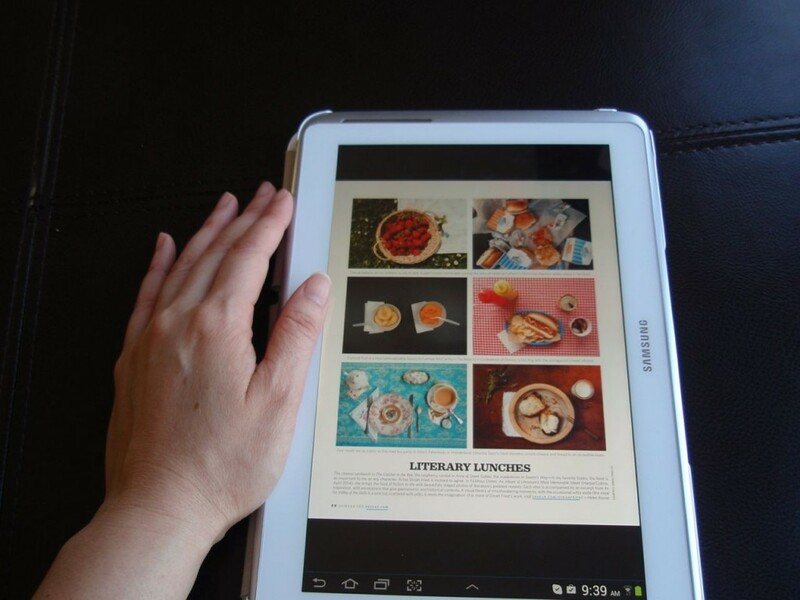 So, here’s why I now love our tablet. 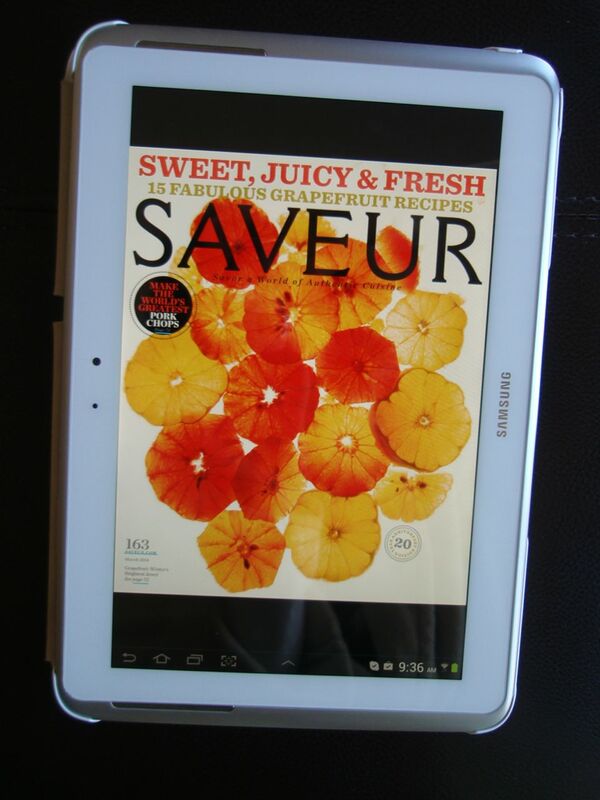 Look how awesome this Saveur magazine looks on it! Check out the crystal clear photos and easy-to-read text. Looks just like a magazine, doesn’t it? Now I can read magazines without spending a dime or wasting a single tree. I am one happy Super Frug reader. our library has a ‘free table’ people bring in magazines, newspapers, etc and leave them for others. I have gotten new magazines for me and my family members. I also leave magazines on the table for others too. Its a win-win. That IS a win-win! I wish more libraries would do this! Our public library doesn’t do this but we have several free libraries (have you seen these cool, small libraries built by everyday citizens?) in our neighborhood that does offer mags for people to read and trade. It’s a great service.